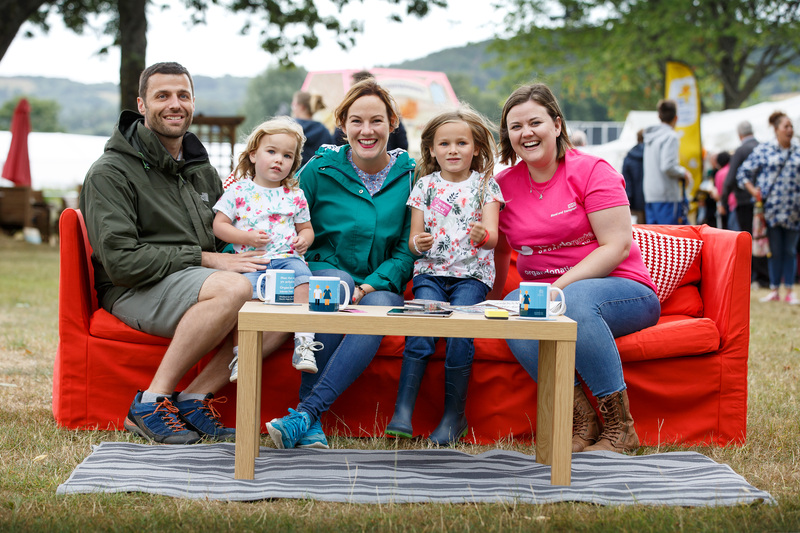 A special sofa will be hitting the streets of Wales this month for a series of #TalkOrganDonation summer roadshows to get more people sharing their organ donation decisions with their friends and families. A new survey has revealed that 48% of us have our most important life-changing chats while sitting on the sofa. So, the Organ Donation Wales team is creating a pop-up mobile living room to encourage members of the public who are out and about at events over the summer to sit down and have the organ donation chat then and there. The survey found that the sofa was the top spot to have an important chat with loved ones, while 31% of people prefer to talk at the dinner table and just 3% have their important discussions in their local watering hole. The #TalkOrganDonation summer tour will launch at The Caerphilly Big Cheese on July 28-29, before moving to The Eisteddfod on August 7 -9, and concluding at the Pembrokeshire show on August 14-16. Wales became the first country in the UK to introduce a soft opt-out system. This means that everyone over 18 who lives and dies in Wales and does not have a registered organ donation decision will be treated as having no objection to becoming a donor when they die. While 70% of people in Wales are aware of the legislation, most people are unaware that their families can override their decision to donate their organs even though they are opted-in. In 2016-17, there were 21 cases in Wales of families overriding their deceased relatives’ decision to be a donor, so to make it easier for your family to support donation tell them what you want to do. Organ Donation Wales is keen to get the people of Wales sharing their decisions about this important subject with their families. When Jason Leigh’s father in-law had a heart transplant in November 2006, he and his wife Laura had discussed organ donation and agreed that if anything happened to either of them, they would donate their organs. Sadly, nine years later, in September 2015, Jason (who was 30 at the time) was faced with just that when Laura, who he had married just five months earlier, suffered a cardiac arrest and passed away at just 31 years of age. Vaughan Gething, Cabinet Secretary for Health and Social Services said: “We hope that by running these roadshows and giving the people of Wales the opportunity to open up and have these important chats with their friends and family, it will encourage more people to share their organ donation decisions with their loved ones. You can register a decision at any time by calling 0300 123 23 23 or visiting www.organdonationwales.org. But whatever you decide, tell your family and friends too. How will they know what you want if you don’t tell them? And don’t forget to ask them what they want as well.